Looking for the best translation software for marketing agencies? Before you settle on a platform, there are a few factors you need to consider. 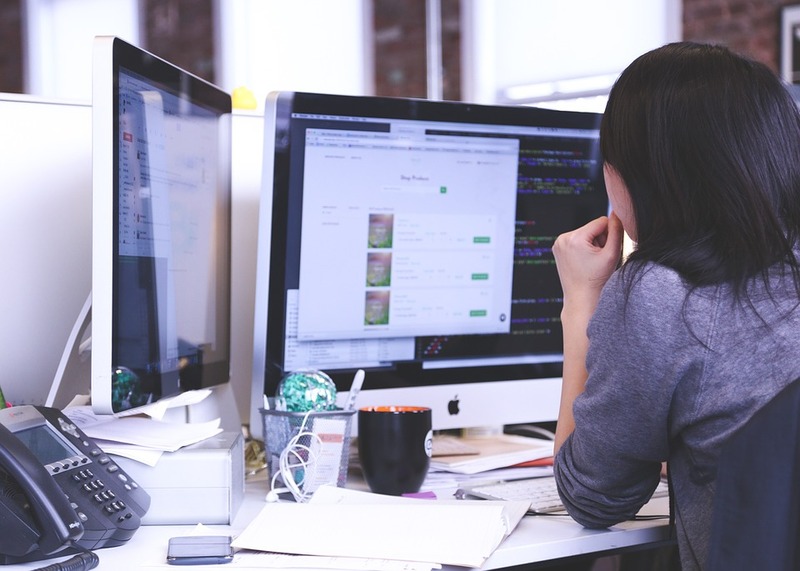 First, it’s important to define exactly what you want the software to help your agency with. Do you need to streamline your translation workflow? Are you looking to save time on the translation process? Or, perhaps you want a project management space for your team to access the last version of all of your translated marketing materials in one place. Even if you’re still not 100% certain about what you’re looking for, this article should help you. We’re not going to start by naming the best translation software for marketing agencies, because that depends on your marketing agency’s specific needs. Instead, we’ll first present you with the features that are commonly the most helpful to marketing professionals, and then we will make a recommendation for the best translation software for marketing agencies at the end of this article. Here are the features most commonly found in the best translation software for marketing agencies, based on the assumption that all marketing agencies and marketing departments value high-quality translation and integrity of file formatting, as well as time and cost-savings. The best translation software for marketing agencies often includes automatic file formatting. When you upload a file to translation software, you don’t want to spend hours reformatting its appearance. Regardless of whether it’s a PowerPoint, InDesign file, or MS-Word document. However, that’s the reality for users of many translation platforms who are still wasting time and energy cutting and pasting text into Excel worksheets. When you work in marketing, this becomes a bottleneck, because you need translated marketing materials to be publishable. And in marketing, you have really fast deadlines to meet. With this feature, your department can save hours of work that you would normally spend reformatting a file. Font properties, images, spacing and breaks all remain intact. Spend minutes tweaking a layout instead of hours and days reformatting a file. Did we mention this feature will help reduce the labor hours associated with producing a translated marketing deliverable at your agency? When you evaluate a translation system, take note that the best translation software for marketing agencies that aim to reduce costs and hours worked will include Translation Memory. Translation Memory is a must-have for productivity. It allows you to store edited translations, which will help you reduce the hours and effort needed to produce translations while providing continuous quality improvements. Search for a platform that provides your users with an intuitive user interface so you don’t spend a lot of time training your users. The best translation software for marketing agencies will use your Translation Memories to improve the quality of your translations. Never worry that your tagline gets translated differently. Would your agency be considered innovative if it didn’t use AI? Consider adopting translation software that uses Dynamic Machine Learning. This AI technology enables you to edit multiple files simultaneously, thereby reducing the amount of time you spend translating. 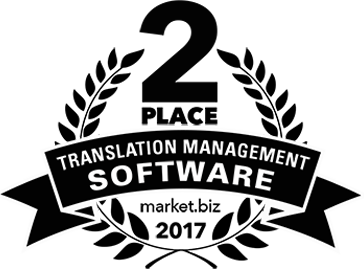 All translation software requires training in order to provide the highest-quality translations possible. Dynamic Machine Learning is what enables you to do so. And as more and more users edit translations, you’ll see continuous quality improvements in your translations. The more frequently you train the software, the less translated content you need to edit in the future. This helps you cut costs and save time in the short run and long run. The best translation software for marketing agencies and departments will also include a strong project management component. It’s important that your translation software facilitates team collaboration. These capabilities will streamline team productivity and keep the latest version of a translation accessible to everyone without needing to email file attachments back and forth. Another feature of the best translation software for marketing agencies is batch file translation. Batch file translation allows you to swiftly upload multiple files at once. It also allows you to edit first-draft translations across one of the files and have the edits automatically applied to the same text that exists across the other files within the batch. Integrated marketing communication calls for a unified experience of a brand’s messaging. So for any marketing campaign, you’re likely to have multiple files that share similar words and phrases. Batch file translation will be your new best friend because you’ll be able to simultaneously upload an InDesign file, a spreadsheet with PPC ad copy, email HTML, a spreadsheet with social media text, an .SRT file of video captions, and so on, all in the same batch. Edit one word or segment of text in a single document, and it will be applied across each one in the batch––regardless of the file type. Spellcheck is a handy tool to use when you’re writing marketing copy. Wouldn’t it be helpful if when you correct one word, it corrects all similar errors across a file or batch of files? Well, that’s exactly what dynamic spellcheck does. The best translation software for marketing agencies will also include access to its application programming interface (API). 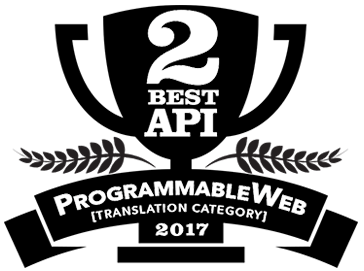 A premium translation API will provide more functionality to your marketing agency than simply delivering raw machine translation. All the above features should be available via API calls. Having access to a robust API means you give other software systems in use by your agency more than just access to raw translations. You can deliver high-quality, human-edited translations and updated content to other programs, which will save your company time and money. For instance, think about a website. Would you be using the best translation software for marketing agencies if you delivered raw translations to your client’s CMS? Or would you want human-quality level translations that result in a great conversion rate? That’s the difference between many translation plugins and a premium translation API. Scalability, flexibility, and productivity is important for coordinating with a team across the world. Centralizing your translation projects is best done by choosing web-accessible translation software. This way, all your source language files, and target language files will be accessible from one centralized hub. What’s more, there is no clunky software on your desktop to maintain or manage, and you can access your translations on-the-go whether you’re on a Mac, Windows or Android device. The best translation software for marketing agencies should also include a gisting feature that allows you to quickly copy and paste text for translation. This is helpful for when you only need to translate a sentence or small amount of text, such as from an email or chat. A live human. That’s who you should be speaking with when you jump on a chat for help with your translation system. Make sure that any translation application you consider will give you live customer support. Ultimately, this will save you time. When you speak to a live agent, you get quicker, higher-quality support when it comes to troubleshooting problematic files and onboarding users. If you want the ultimate best translation software for marketing agencies, keep in mind that using high-quality translation in marketing copy can improve click-through-rates, open rates and conversion rates. This, combined with saving time and money by using productivity features, will put you in a position of success. To experience this, consider Pairaphrase. Pairaphrase is a web-based translation management system for enterprises, and it includes all the capabilities listed above, plus more. Schedule a live demo with a sales rep today or select any of our plans. Know of someone who could benefit from this software? Share this article.